In Off Road magazine Off-roader of the year poll, BMW X models have been quite sucessful as the X5, X6 and X3 and X1 win different awards. The best however is the Luxury SUV of the year award which goes to BMW X5 due to its intelligent BMW xDrive all-wheel drive, powerful and efficient engines and an interior which is both flexible and luxuriously equipped. The recently introduced BMW ActiveHybrid X6 took the Eco Award for its innovative powertrain. This first full-hybrid model from the BMW brand uses its highly intelligent combination of internal combustion engine and electric drive to maximise both performance and efficiency. 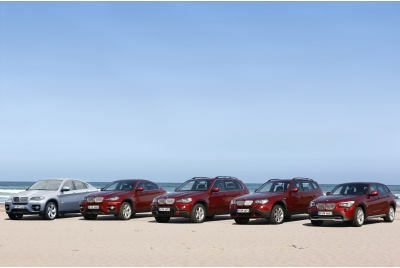 Also in the crossover segment, BMW X1 took the first place beating hte X6 to the second place. X5′s smaller brother the BMW X3 too won the second place in the SUV segment. This title is not very impressive, but after all the X3 is a rubbish SUV which can;t go off-road and it’s also really ugly!